It’s my Eden, weirdly. Dagenham: east end of the East End. We lived at St Thomas, Beacontree, in a grand Victorian vicarage with the church at the end of the garden. All around: low-rise flats and culs-de-sac of red-brick council homes, gathered around scraps of communal green. Pardeep’s little house smelled richly of spice. We would laugh at Krazy and Whizzer & Chips while his impossibly grown-up brother was sent to the shops. (He came back with sweets.) Sem Kneeshaw had all the Thunderbirds toys. William lived in a flat, and had a magician at his birthday party. Michelle would come and call for me, and we would go to the park. At school, we swapped Star Wars bubble-gum cards. Then, when I was almost eight, my dad took on a new parish. We left for the prettier, safer countryside. And it broke my heart. I made my map on the iPad Pro, with the Procreate app. It’s deliberately abstracted, pulling together the totemic locations of my early years in Dagenham, Essex. I have no idea exactly how these locations interrelate geographically. 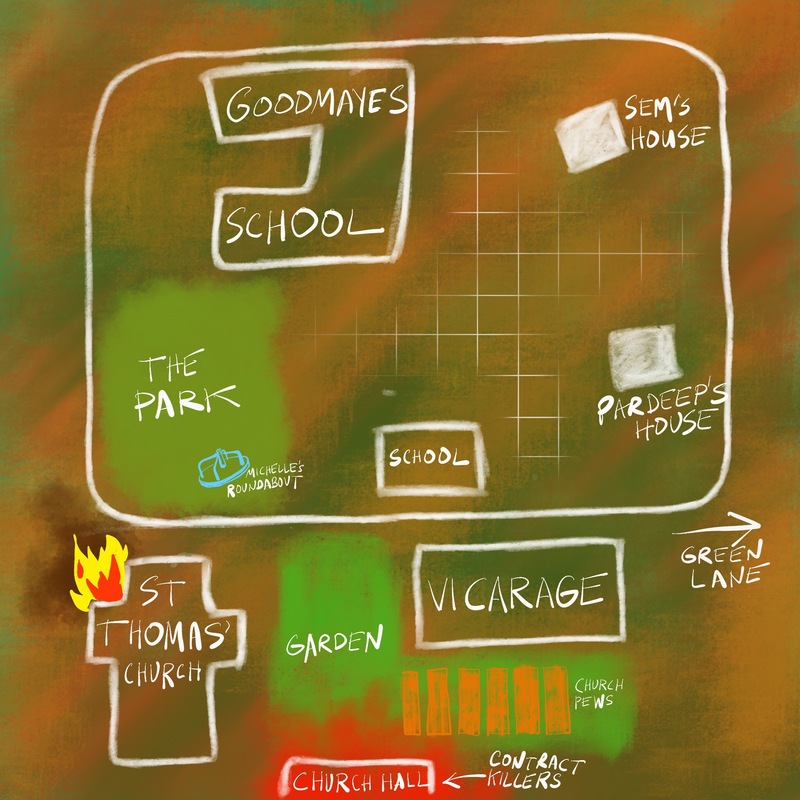 The map also includes things I don’t remember myself, but was told about later – notably the killers in the church hall. (Another story.) They’ve become part of that landscape, I suppose. My actual memories are overwhelmingly happy. Not many people, I imagine, list Dagenham as a Paradise. But it is mine.